Instructions: The finished card measures 8 -1/2 x 7- 1/2". Cut white cardstock 17 x 7-1/2", score at 8-1/2" and fold. Choose pattern paper from the paper collection, cut it to the size 8-1/4 x 7-1/4 distress the edges and adhere on top of white card base with clear dryng glue. For the final layer cut pattern paper to size 8 x 7, distress the edges and adhere on the first layer of cardstock with clear drying glue. Die cut white cardstock using the Daydreams Bridge Die and position it in the center of the card with clear drying glue. Also die cut white cardstock twice using the Elegant Pocket Accents Die and mat with green color pattern paper from the paper collection. Apply glitter on top of die cut with clear dry glue and arrange on the sides of the card as shown.
. Stamp white cardstock with the flower pot images from Wishing Well Oasis Cling Stamp Set using Archival ink - Jet Black. Also Stamp White Cardstock with the bird house image from the Cherry Blossom Retreat Cling Stamp Set using Archival Ink - Jet Black. 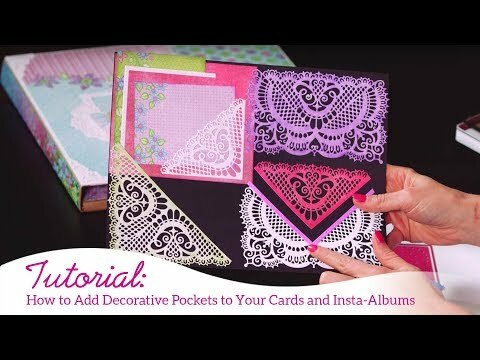 Die cut the images with coordinating dies and color with pencil colors. Stamp white cardstock with the leaf branches from the Cherry Blossom Retreat Cling Stamp Set using Archival Ink - Library Green. Die cut with coordinating die and color the images with Pencil Colors. Once all the elements are ready arrange them as shown. 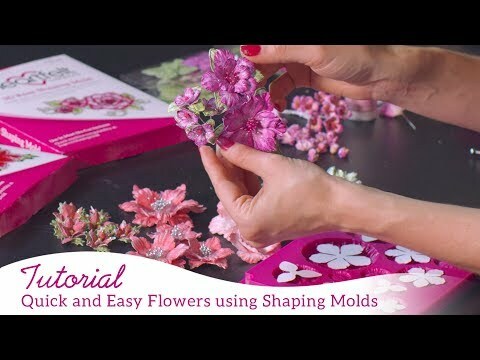 Apply Crystal Clear glitter on flowers with clear dryng glue.